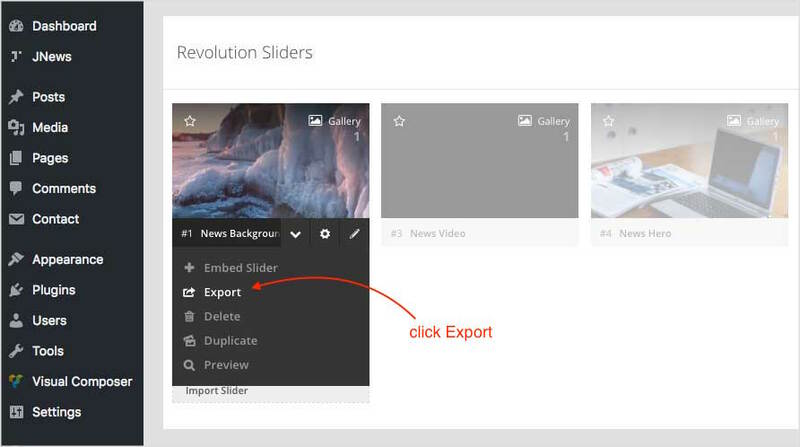 The Revolution Slider allows you to easily import a slider into your site. You can use our slider demo as example to know how we made it. Free Slider Exchange from Revolution Slider. 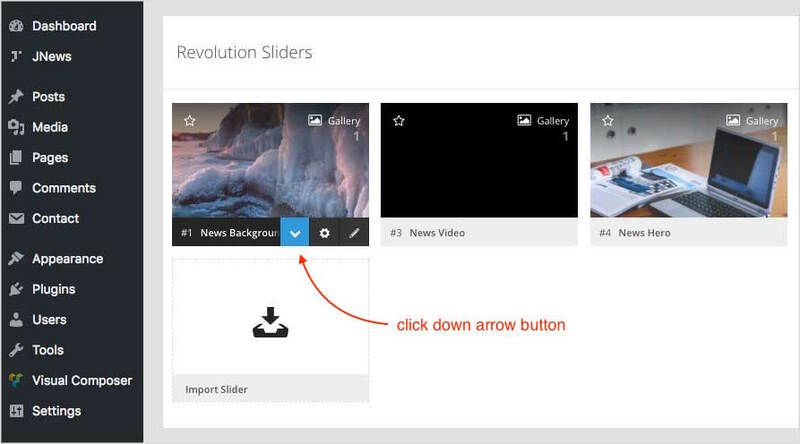 Go the the Revolution Slider tab in your WordPress admin dashboard. 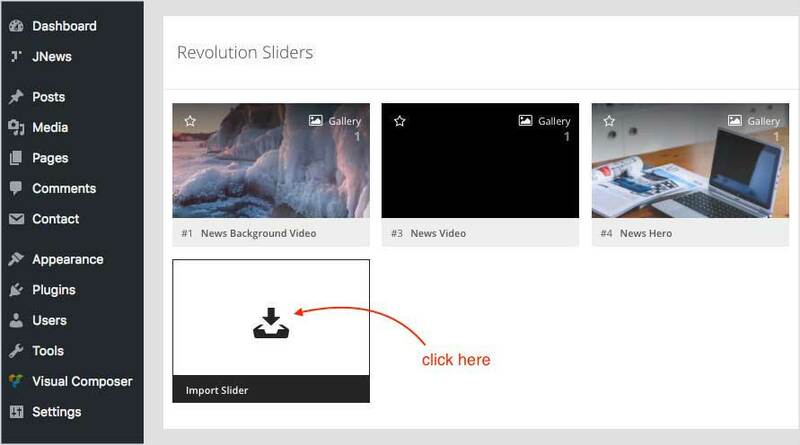 Also, the Revolution Slider allows you to easily export all of your sliders. As you know making animated slides takes a lot of time, make sure you export the data so you don’t ever lose the time you’ve spent on them. Navigate the slider you’d like to export and click the down arrow button (V). Then click Export and we’re done.